Ever get the feeling you’re being watched, only you’re the only person in the room, it’s night, and you’re sort of asleep? Well, rest easy knowing that you probably are being watched – by Shadow People. The Davids delve into the dread-inducing world of the enigmatic phenomenon known as Shadow People in this episode of the podcast. 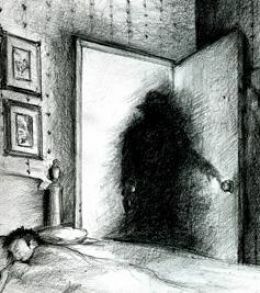 While descriptions and actions of them vary, Shadow People tend to cause fear and leave the witness uncomfortably confused and violated. The Blurry Photos boys try to peer through the darkness and find out just what these things might be. Strap in for a scary and silly romp through the shadows in this one!